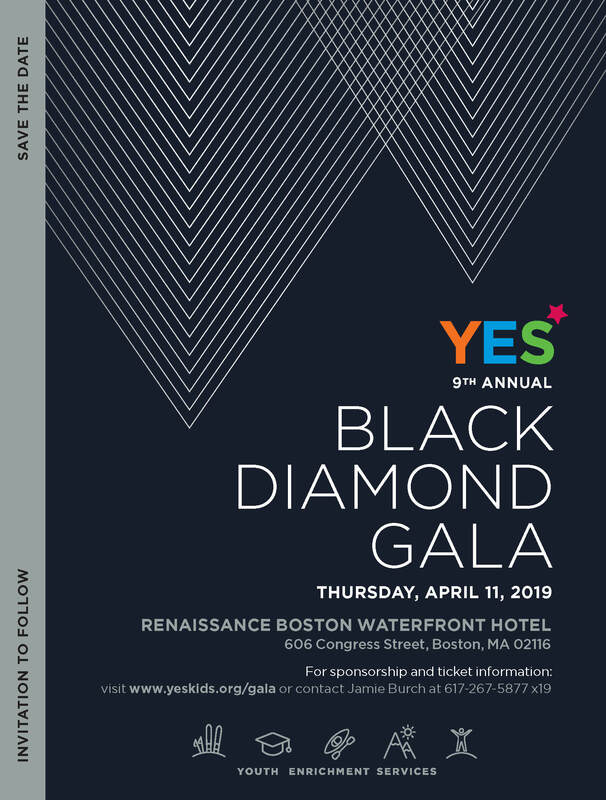 The 9th Annual Black Diamond Gala to benefit YES will be on Thursday, April 11, 2019! 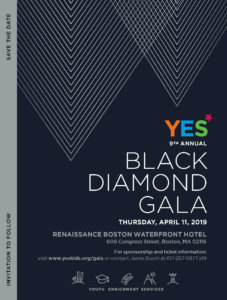 The evening includes a fantastic live auction and silent auction, a seated dinner, entertainment, appearances by world class, Olympic athletes, and a special presentation sharing the powerful message of YES. 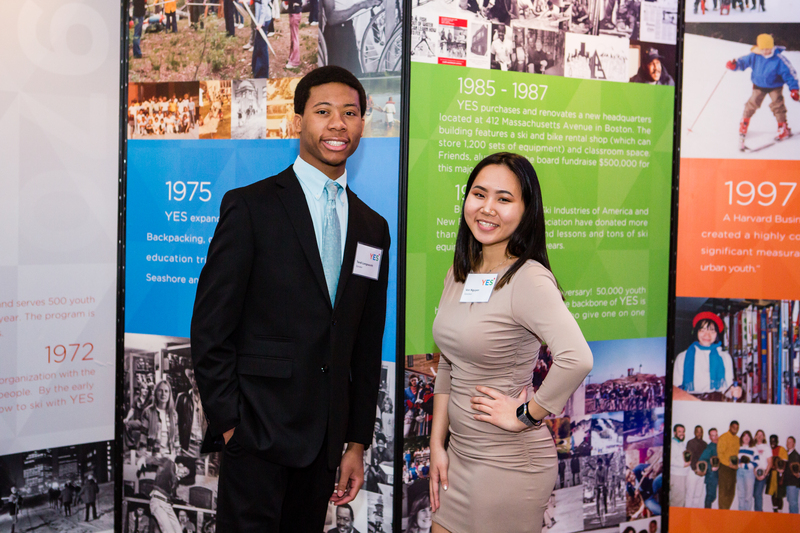 The night promises to be an evening of fun and inspiration offering something for everyone! To purchase sponsorships and tickets online, please click here. For further information about tickets or sponsorships, please contact Jamie Burch at 617-267-5877 Ext. 19 or [email protected]. 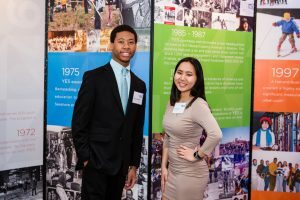 View photos from the 8th Annual Black Diamond Gala in April 2018.